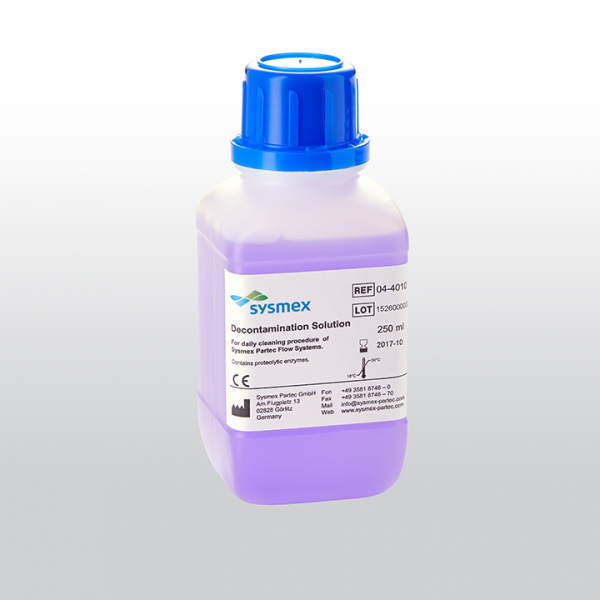 Buffered decontamination solution for cleaning the sample lines and cuvettes of Sysmex flow cytometry systems to reduce proteins and cellular debris. Decontamination Solution contains a proteolytic agent, buffer solution and preservatives. Refer to the instrument’s operator manual describing the need and use of the Decontamination Solution.